Brains, brains, brains. One thing we’ve learned at NPR Ed is that people are fascinated by brain research. And yet it can be hard to point to places where our education system is really making use of the latest neuroscience findings. But there is one happy nexus where research is meeting practice: bilingual education. “In the last 20 years or so, there’s been a virtual explosion of research on bilingualism,” says Judith Kroll, a professor at the University of California, Riverside. 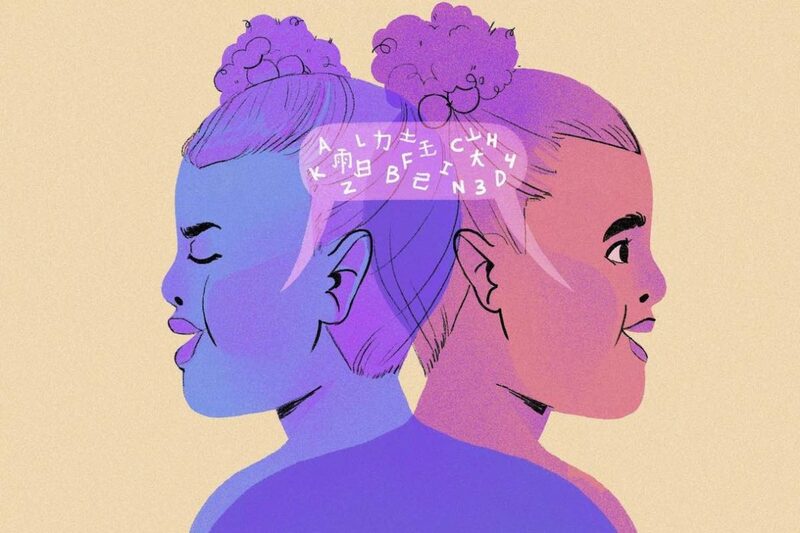 Again and again, researchers have found, “bilingualism is an experience that shapes our brain for a lifetime,” in the words of Gigi Luk, an associate professor at Harvard’s Graduate School of Education. At the same time, one of the hottest trends in public schooling is what’s often called dual-language or two-way immersion programs. Traditional programs for English-language learners, or ELLs, focus on assimilating students into English as quickly as possible. Dual-language classrooms, by contrast, provide instruction across subjects to both English natives and English learners, in both English and in a target language. The goal is functional bilingualism and biliteracy for all students by middle school. New York City, North Carolina, Delaware, Utah, Oregon and Washington state are among the places expanding dual-language classrooms. The trend flies in the face of some of the culture wars of two decades ago, when advocates insisted on “English first” education. Most famously, California passed Proposition 227 in 1998. It was intended to sharply reduce the amount of time that English-language learners spent in bilingual settings. Proposition 58, passed by California voters on Nov. 8, largely reversed that decision, paving the way for a huge expansion of bilingual education in the state that has the largest population of English-language learners. Some of the insistence on English-first was founded in research produced decades ago, in which bilingual students underperformed monolingual English speakers and had lower IQ scores. “Earlier research looked at socially disadvantaged groups,” agrees Antonella Sorace at the University of Edinburgh, in Scotland. “This has been completely contradicted by recent research” that compares more similar groups to each other. So what does recent research say about the potential benefits of bilingual education? NPR Ed called up seven researchers in three countries — Sorace, Bialystok, Luk, Kroll, Jennifer Steele, and the team of Wayne Thomas and Virginia Collier — to find out. It turns out that, in many ways, the real trick to speaking two languages consists in managing not to speak one of those languages at a given moment — which is fundamentally a feat of paying attention. Saying “Goodbye” to mom and then “Guten tag” to your teacher, or managing to ask for a crayola roja instead of a red crayon, requires skills called “inhibition” and “task switching.” These skills are subsets of an ability called executive function. People who speak two languages often outperform monolinguals on general measures of executive function. “[Bilinguals] can pay focused attention without being distracted and also improve in the ability to switch from one task to another,” says Sorace. Do these same advantages accrue to a child who begins learning a second language in kindergarten instead of as a baby? We don’t yet know. Patterns of language learning and language use are complex. But Gigi Luk at Harvard cites at least one brain-imaging study on adolescents that shows similar changes in brain structure when compared with those who are bilingual from birth, even when they didn’t begin practicing a second language in earnest before late childhood. Young children being raised bilingual have to follow social cues to figure out which language to use with which person and in what setting. As a result, says Sorace, bilingual children as young as age 3 have demonstrated a head start on tests of perspective-taking and theory of mind — both of which are fundamental social and emotional skills. About 10 percent of students in the Portland, Ore., public schools are assigned by lottery to dual-language classrooms that offer instruction in Spanish, Japanese or Mandarin, alongside English. Jennifer Steele at American University conducted a four-year, randomized trial and found that these dual-language students outperformed their peers in English-reading skills by a full school year’s worth of learning by the end of middle school. Such a large effect in a study this size is unusual, and Steele is currently conducting a flurry of follow-up studies to tease out the causality: Is this about a special program that attracted families who were more engaged? Or about the dual-language instruction itself? The research of Gigi Luk at Harvard offers a slightly different explanation. She has recently done a small study looking at a group of 100 fourth-graders in Massachusetts who had similar reading scores on a standard test, but very different language experiences. Some were foreign-language dominant and others were English natives. Here’s what’s interesting. The students who were dominant in a foreign language weren’t yet comfortably bilingual; they were just starting to learn English. Therefore, by definition, they had much weaker English vocabularies than the native speakers. Yet they were just as good at decoding a text. How did the foreign-language dominant speakers manage this feat? Well, Luk found, they also scored higher on tests of executive functioning. So, even though they didn’t have huge mental dictionaries to draw on, they may have been great puzzle-solvers, taking into account higher-level concepts such as whether a single sentence made sense within an overall story line. They got to the same results as the monolinguals, by a different path. Wayne Thomas and Virginia Collier, a husband and wife team of professors emeritus at George Mason University in Virginia, have spent the past 30 years collecting evidence on the benefits of bilingual education. “Wayne came to our research with skepticism, thinking students ought to get instruction all day in English,” says Virginia Collier. “Eight million student records later, we’re convinced,” Wayne Thomas chimes in. In studies covering six states and 37 districts, they have found that, compared with students in English-only classrooms or in one-way immersion, dual-language students have somewhat higher test scores and also seem to be happier in school. Attendance is better, behavioral problems fewer, parent involvement higher. American public school classrooms as a whole are becoming more segregated by race and class. Dual-language programs can be an exception. Because they are composed of native English speakers deliberately placed together with recent immigrants, they tend to be more ethnically and socioeconomically balanced. And there is some evidence that this helps kids of all backgrounds gain comfort with diversity and different cultures. Several of the researchers I talked with also pointed out that, in bilingual education, non-English-dominant students and their families tend to feel that their home language is heard and valued, compared with a classroom where the home language is left at the door in favor of English. This can improve students’ sense of belonging and increase parent involvement in their children’s education, including behaviors like reading to children. Protection against cognitive decline and dementia. File this away as a very, very long-range payoff. Researchers have found that actively using two languages seems to have a protective effect against age-related dementia — perhaps relating to the changes in brain structure we talked about earlier. Specifically, among patients with Alzheimer’s in a Canadian study, a group of bilingual adults performed on par with a group of monolingual adults in terms of cognitive tests and daily functioning. But when researchers looked at the two groups’ brains, they found evidence of brain atrophy that was five to seven years more advanced in the bilingual group. In other words, the adults who spoke two languages were carrying on longer at a higher level despite greater degrees of damage. One theme that was striking in speaking to all these researchers was just how strongly they advocated for dual-language classrooms. Thomas and Collier have advised many school systems on how to expand their dual-language programs, and Sorace runs “Bilingualism Matters,” an international network of researchers who promote bilingual education projects. This type of advocacy among scientists is unusual; even more so because the “bilingual advantage hypothesis” is being challenged once again. A review of studies published last year found that cognitive advantages failed to appear in 83 percent of published studies, though in a separate meta-analysis, the sum of effects was still significantly positive. One potential explanation offered by the researchers I spoke with is that advantages that are measurable in the very young and very old tend to fade when testing young adults at the peak of their cognitive powers. And, they countered that no negative effects of bilingual education have been found. So, they argue that even if the advantages are small, they are still worth it. Not to mention one obvious, outstanding fact underlined by many of these researchers: “Bilingual children can speak two languages! That’s amazing,” says Bialystok.